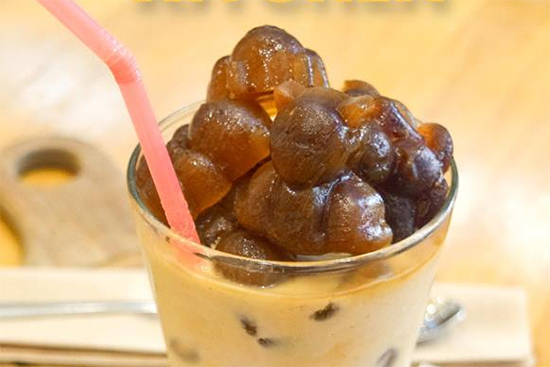 (SPOT.ph) Another month, another round of crazy beverages. 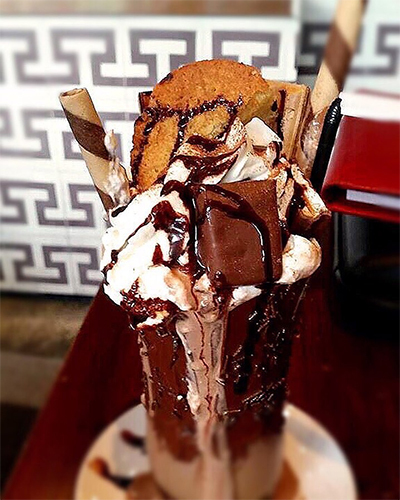 We're pinning this on the latest wave of over-the-top drinks that have recently crashed in Manila. 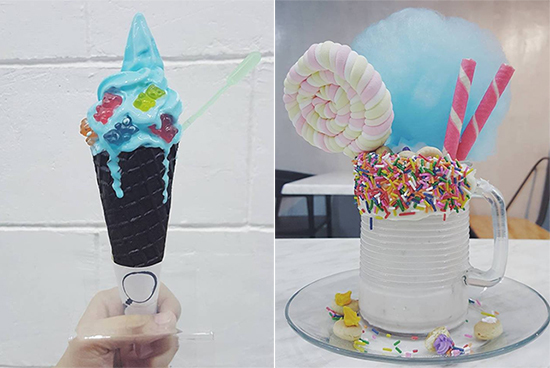 As SPOT.ph reported on March 22, dessert favorite The Lost Bread just opened a second branch and is introducing a new, advanced level of over-the-top milkshakes. Apparently, their cotton candy-crowned Carnival is only the beginning of a wild, wild sweet journey. One of their newer creations includes a marshmallow pop, biscuits, and strawberry wafers. 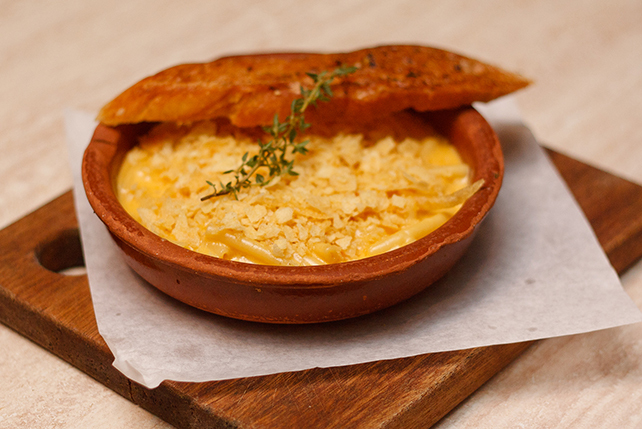 Joining this "shaky" bandwagon is cozy cafe Refinery at Rockwell, Makati City. 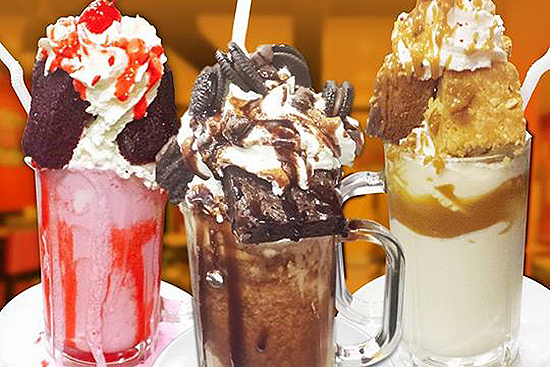 They've just introduced the Top Heavy Milkshake. It's made with four scoops of ice cream, house-made Valrhona chocolate syrup, wafers, a chocolate bar, and house-made vanilla bean whipped cream. In case the flavor isn't getting across enough, they also rimmed the glass with hazelnut spread and cocoa powder. 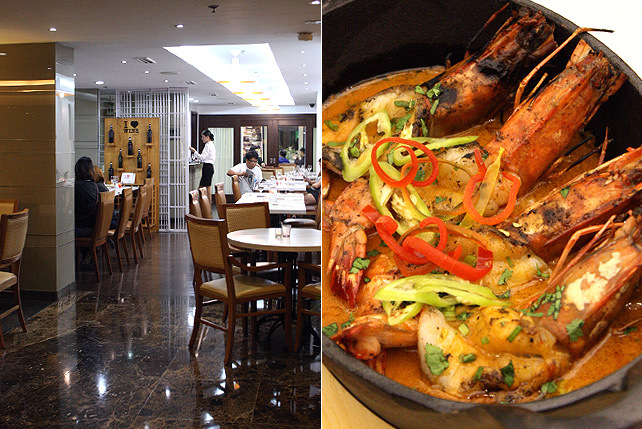 If you're on your way South, drop by Xander's Diner at Alabang-Zapote Road, Las Piñas City. It's a diner in the sense that it serves burgers, fries, and shakes, but the shakes here are definite The Hulk versions. 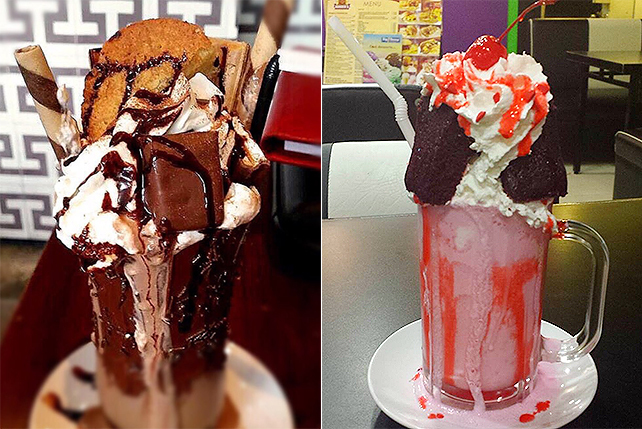 They're called Monster Shakes and they come in Strawberry Velvet, Chocolate, and Vanilla Caramel. It's like a sweet shop was stuffed inside a glass. Chelsea Kitchen at SM Mega Fashion Hall, Mandaluyong isn't joining the milkshake party. They've created their own fun drink—a latte. Topped with coffee ice teddy bears. Because cubes are just so boring.